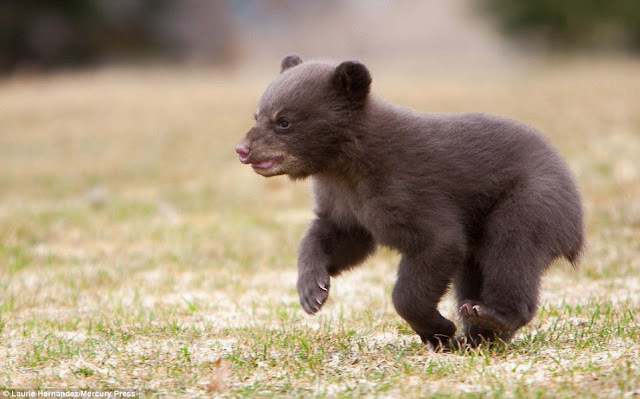 This adorable baby bear came narrowly close to getting a whiff of more than he bargained for - when he tried to play chase with a skunk. 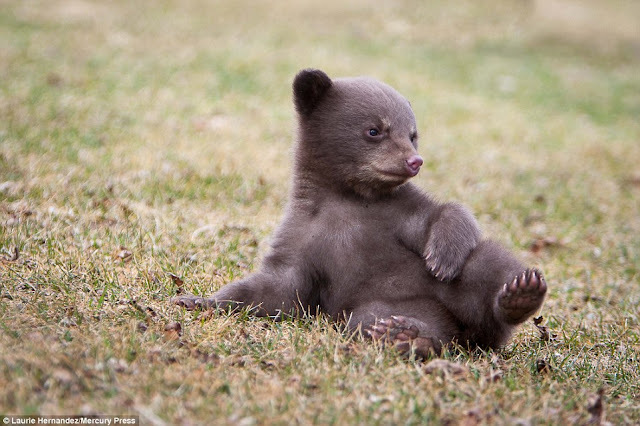 Mother-of-two Laurie Hernandez, 53, visited a wildlife photography event in St Paul, Minnesota, and was eagerly snapping the playful bear cub frolicking on the grass. However, rather than posing for photographers, the cub decided to wander over to another area of the event where a skunk was also acting as model, embarking on a cheeky game of chase. 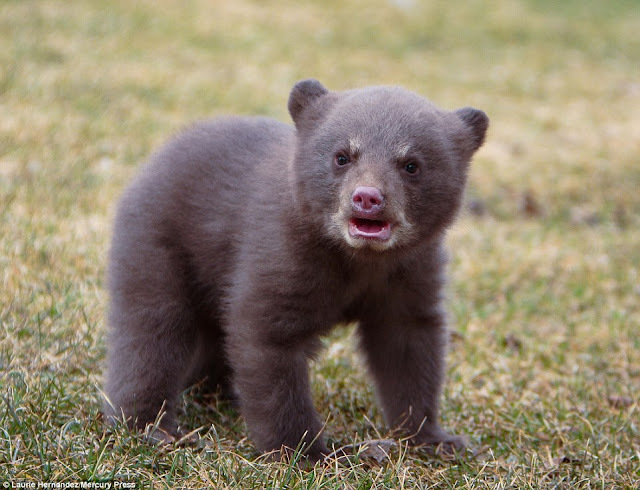 Ms Hernandez, from Minneapolis, Minnesota, said: 'He was very cute and inquisitive. 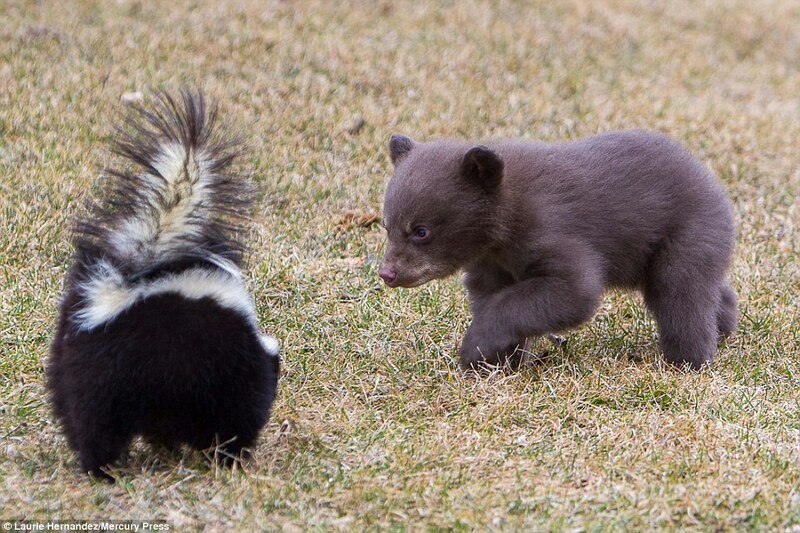 He was really curious about the skunk and wanted to play but the skunk wanted nothing to do with him. 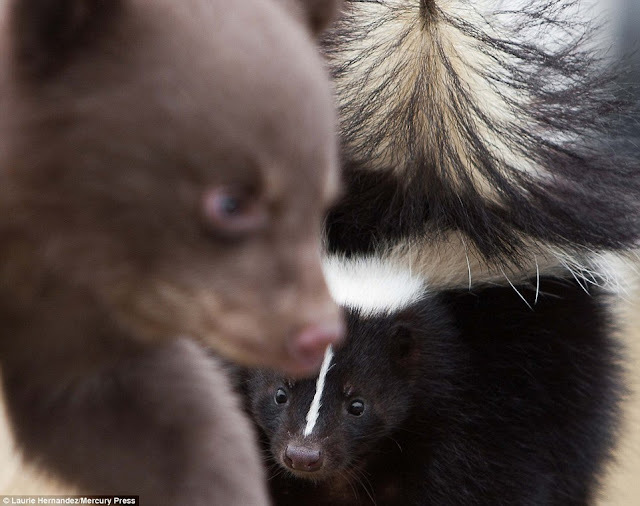 'The skunk had its tail in the air and the bear cub's face went right where it shouldn't have - he was very lucky the skunk was de-scented or it would have been awful for the poor thing. 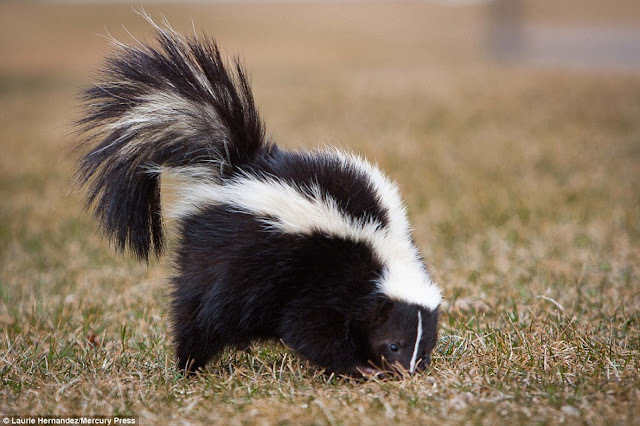 He put himself in position to get a faceful of something awful from the skunk. 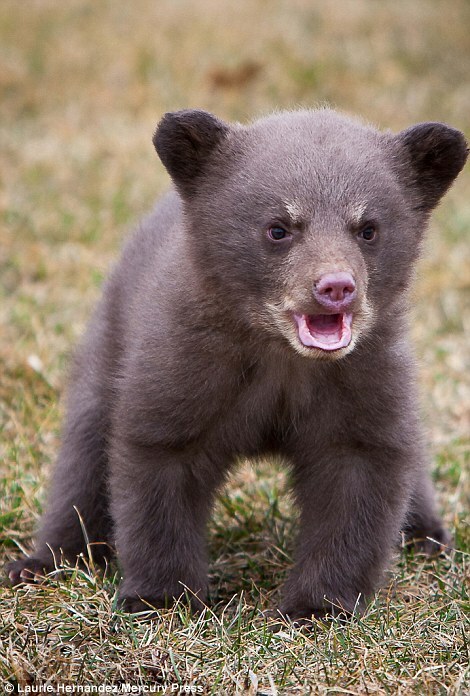 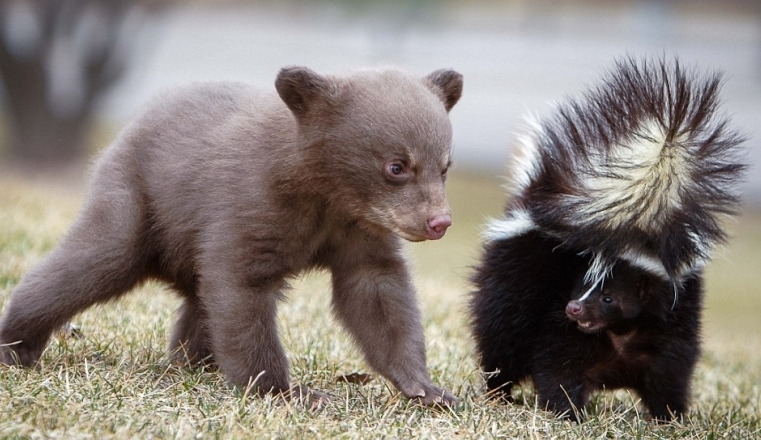 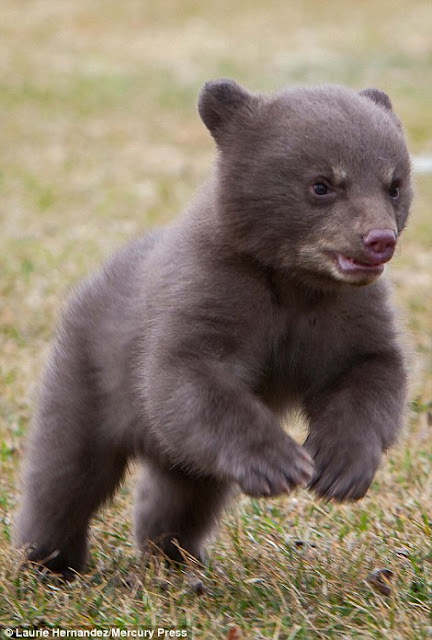 Responses to "Adorable baby bear In Minnesota Playfully Inspects A Skunk"